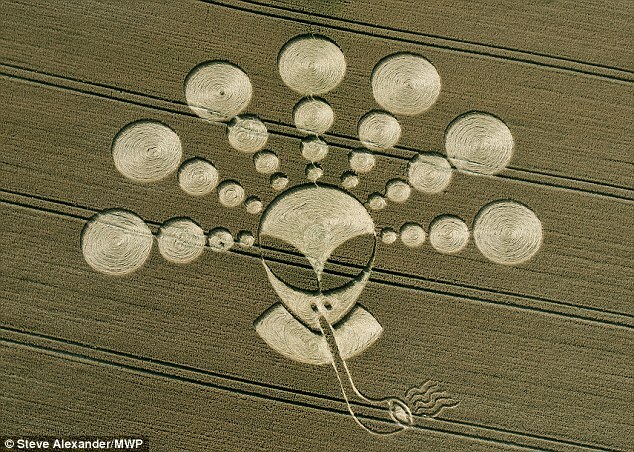 A crop circle depicting a Grey alien smoking a pipe has appeared in a field near Stonehenge. 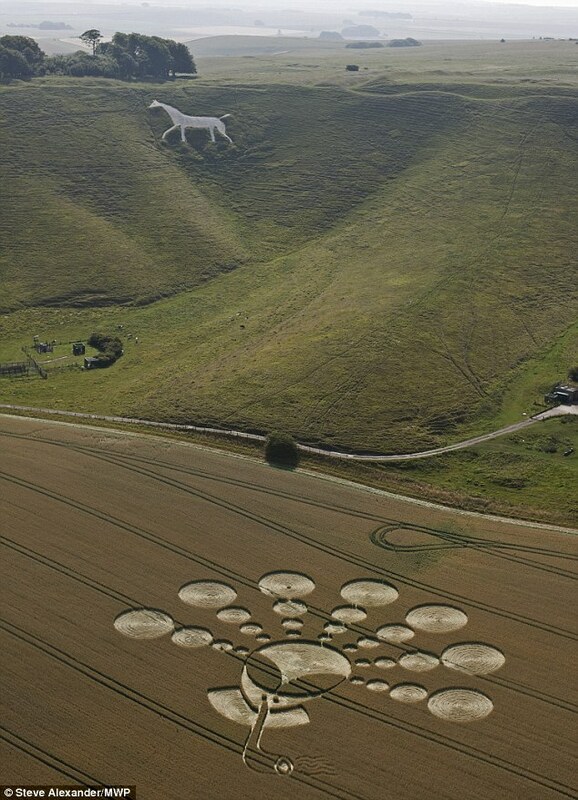 The bizarre 200ft design in Wiltshire - the crop circle capital of the world - has appeared near the 18th Century image of a white horse - one of several such white horse figures in Wiltshire, which have probably been modelled on the Bronze Age Uffington White Horse - carved into a hillside at Cherhill. And an Amerian scientist believes that many crop circles are now created using an ordinary microwave oven. 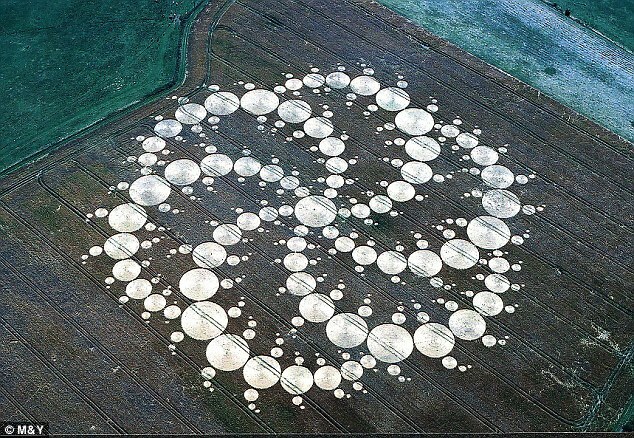 The technique could explain the speed and efficiency of the artists and the incredible detail that some new crop circles exhibit. For some unknown reason the county of Wiltshire, famous for Stonehenge, in south west England is the world's crop circle capital. Every year, 50 to 60 circles materialise in the rolling chalk downlands of Wiltshire - as well as several elsewhere in England. One theory is that the British military, which has a large presence in Wiltshire, is somehow and for some reason responsible. 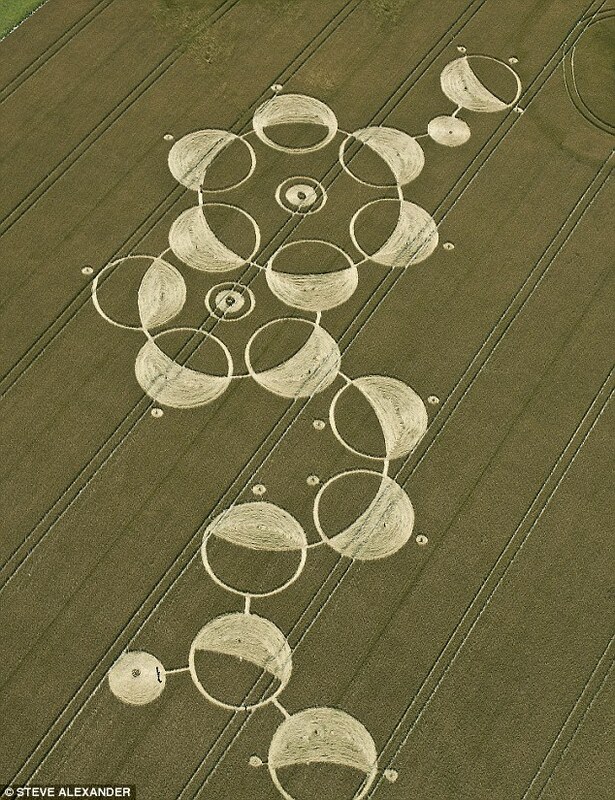 Tim Carson, who owns the land where the recent alien design appeared, has had 125 circles - which are becoming an English summer tradition - on his land since 1990 (a 1990 crop circle on his land appears on the cover of a Led Zeppelin album). This week, within hours of the first reports of a new circle on Windmill Hill — near the neolithic stone circle at Avebury (which is larger than Stonehenge and the largest in Europe) — a Dutch (appropriately) tour party of nine people rushed to the spot. Many crop circles have appeared on or near Windmill Hill over the years. Last edited by Blackleaf; Aug 3rd, 2011 at 11:56 AM..
Gotta love what you can do with a total station. Do these crop circles cause a lot of damage? Yes they do. Whatever area of the field they cover can't be harvested, it's a loss of planted acreage to the producer, same as if a storm had flattened it. 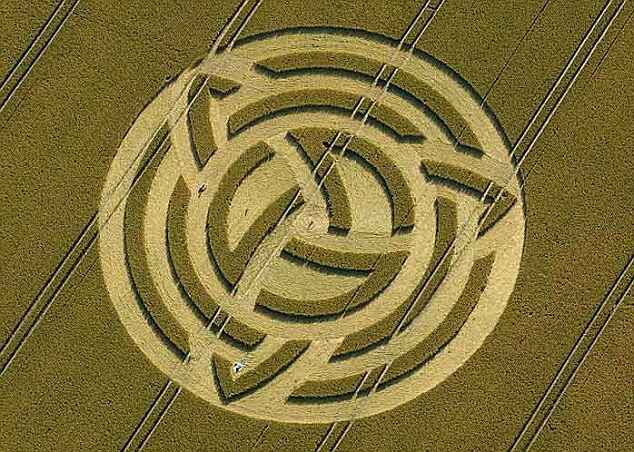 I've read a bit about crop circles and watched several docs on the subject - they absolutely fascinate me. 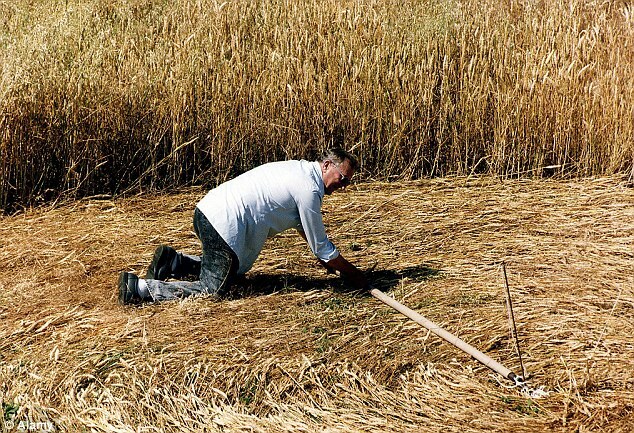 Some researchers say the crops continue to grow after being pressed into the circles but how one goes about combining a crop that is bent to the ground is a question for those much wiser than myself. Some of these circles are huge and most are found in crops, though they have been found in ice and hardpan too. As the article states many farmers in the areas where many of the circles appear, have turned a tidy profit on them which probably offsets any loss from not being able to harvest the crops. The US has had crop circles as has Canada and many other countries around the world. I have also watched several documentaries and although some circles can be attributed to human activity, not all of them can. This pipe smoking alien is an obvious forgery of the human kind. Cameras have been set up in fields that consistently produce circles and no human activity has been detected in many of these fields. How they get there and by whom is a mystery, but some people need an iron clad explanation and can't just enjoy something for the joy of it. Those aliens should stay away from Earth. They are picking up bad habits.